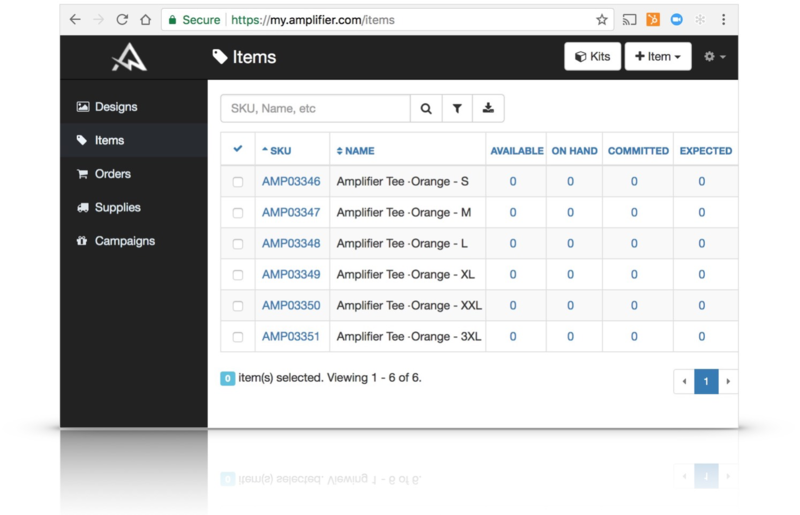 Before Amplifier can ship your Orders, we need to know what might be in them. You tell us this by Adding Items. 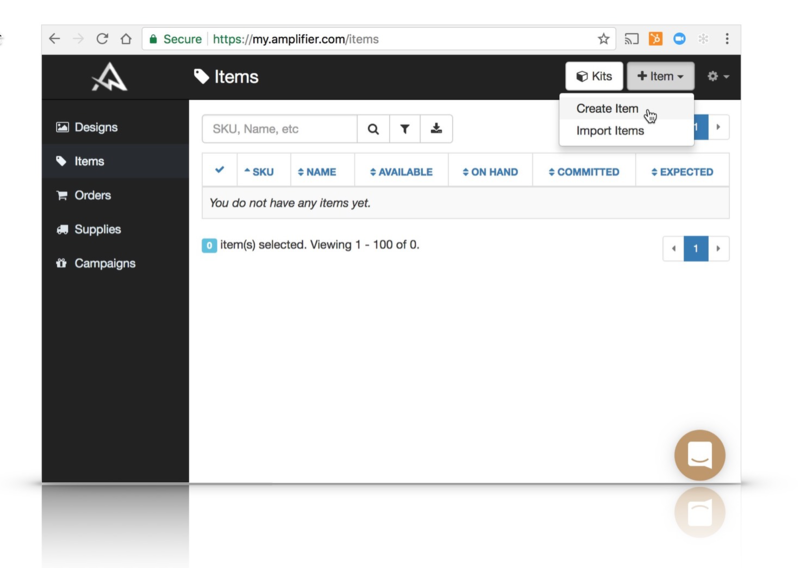 There are two primary ways to add Items to your catalog – One at a Time or All at Once. 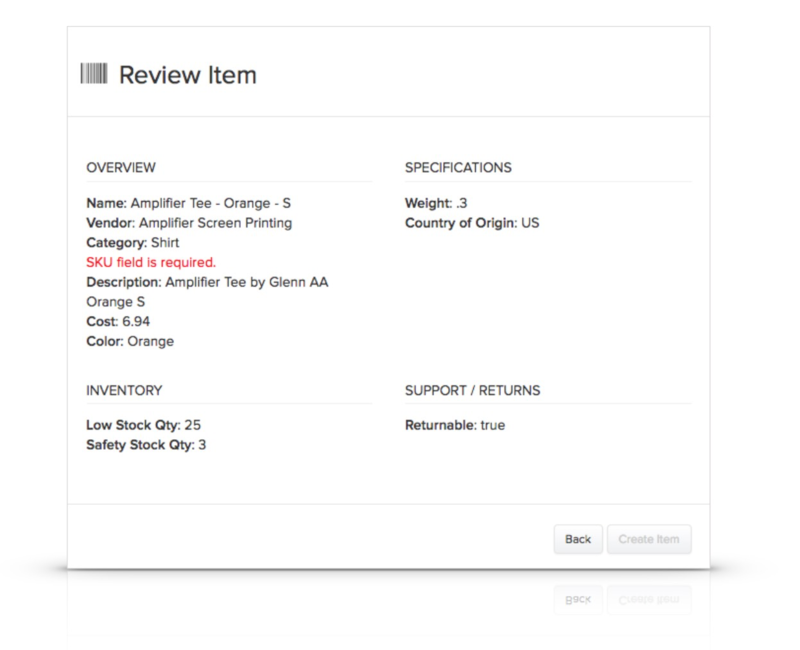 Click the "+ Item" located in top right corner and select "Create Item"
When Creating Items, accurate information is imperative. 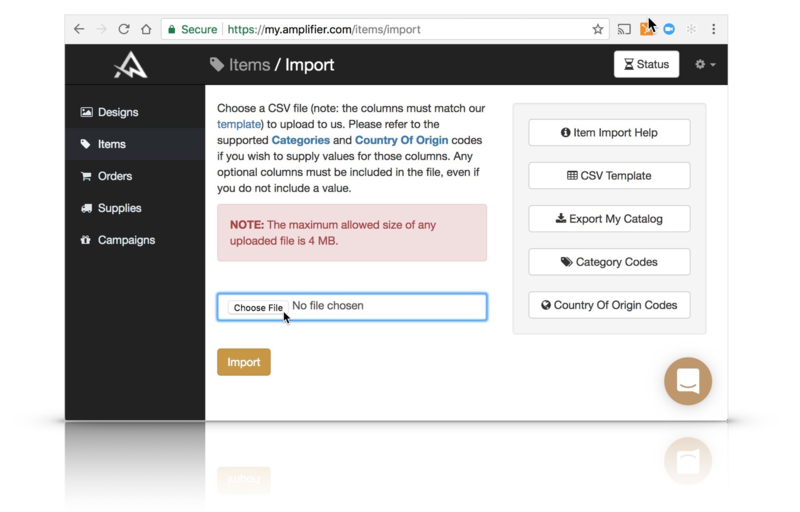 Providing inaccurate data can result in expensive consequences – a typo on the SKU Field could result in the wrong item shipping out. 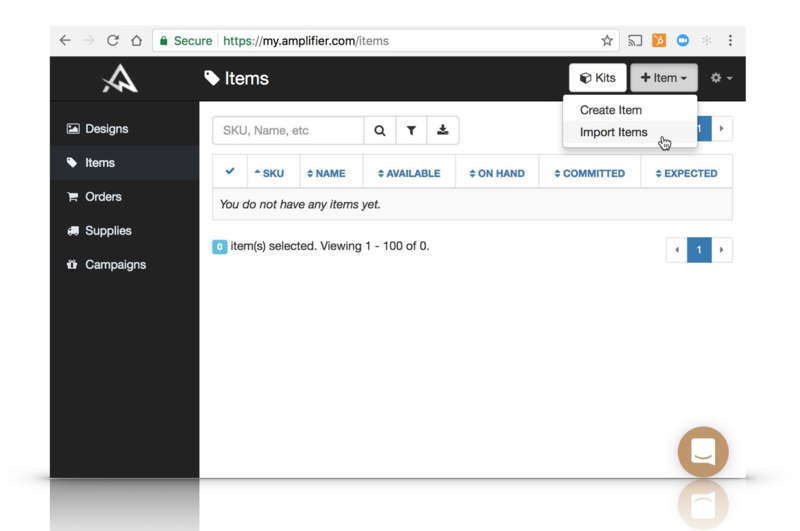 Once you finish Creating your ITEM, Amplifier will let you review it before saving it. 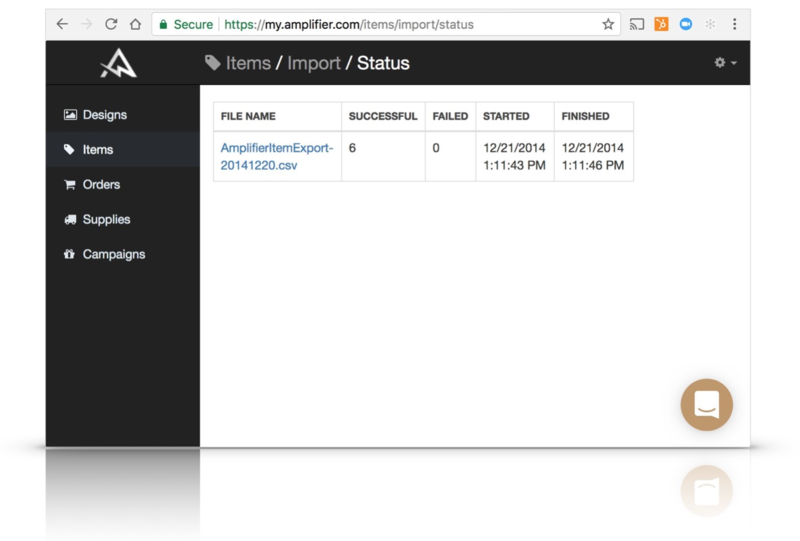 For those with large product catalogs, Amplifier recommends Import Items. To Ship Inventory to us, You must first let us know what exactly is coming and when it will get here. In the logistics industry, this is called an ASN or Advanced Shipping Notification.